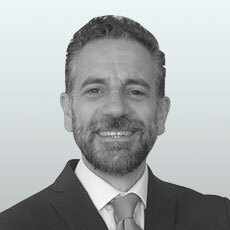 Alberto Bichi is the Executive Director of EPSI, the European Platform for Sport Innovation and has been Secretary General of the Federation of the European Sporting Goods Industry (FESI) for over 17 years. Following a working experience at the European Commission’s cabinet of Commissioner Vanni d’Archirafi, he integrated the Foreign Trade Association (FTA) and became member of the Board. He subsequently developed and improved the Federation of the European Sporting Goods Industry (FESI), becoming Secretary General in year 2000 and has ever since enhanced its reputation and overall profile. In 2010 he became Executive Director of EPSI: European Platform for Sports and Innovation which is a European Commission officially recognized Technology platform which serves as an incubator for innovation projects in many sport industry & services domains. In 2012 he became Director of Government Affairs for HDS-L representing The German Footwear & Leather Industry Association.